It was in August 2016. 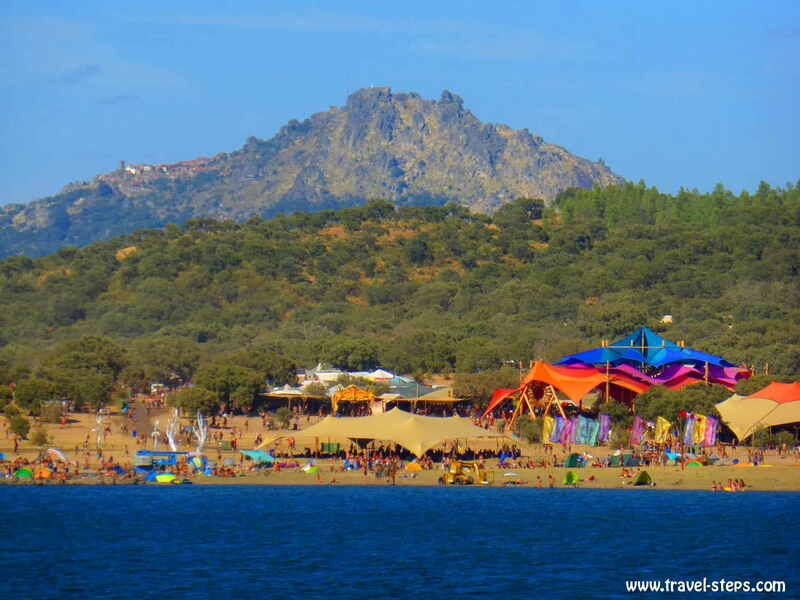 Just one day before the Boom Festival 2016 in Portugal was going to start. 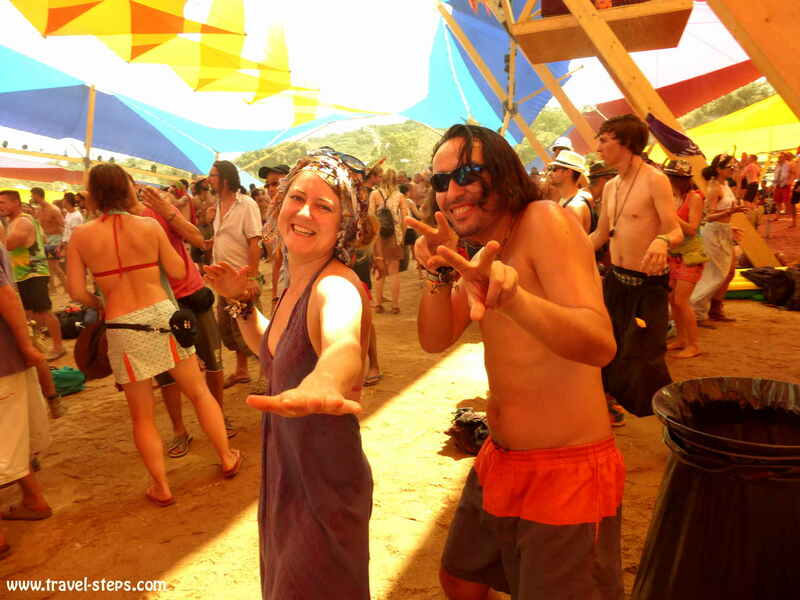 Me and my partner were happy and very exited to experience one week of psy trance music, dancing, workshops, lectures, art, exchange and feeling alive. At Madrid bus station, we were looking around for colorful people. We knew, that probably more than 30.000 people would come to the Boom Festival 2016 from all over the world to celebrate. But at the bus station, we didn’t see any of them. Did they all travel from Lisbon to Idanha-a-Nova? Or did they all take the official Boom shuttle bus, that you had to book in advance? 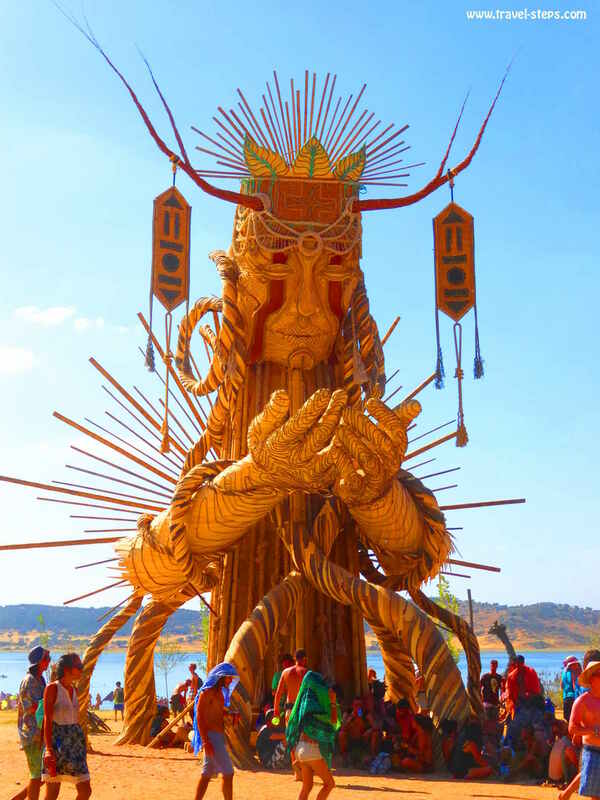 We had bought the tickets for the Boom Festival 2016 half a year before. We had booked our flights from Germany to Madrid and back from Lisbon months before. But we had totally forgotten about the transport for the last 400 kilometers. So we had to organize transport to Idanha-a-Nova spontaneously by ourselves. 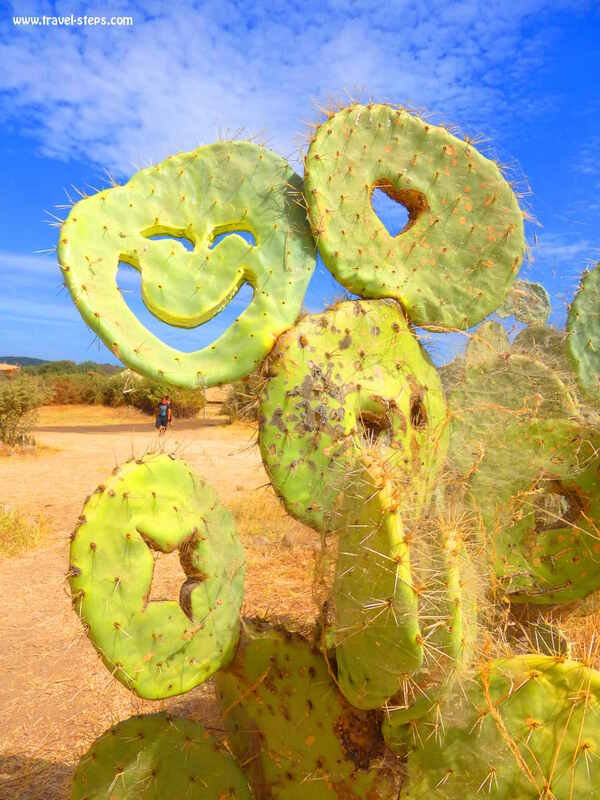 We asked ourselves: Were we really the only ones taking a long distance bus from Madrid to the Portuguese city of Guarda, the closest bigger city to the Boom Festival? Were we sitting in the right bus? Yes, we were. We had been just super early. More and more people with dreadlocks were taking their seats in the bus, greeting each other, smiling. And suddenly, all passengers were talking about how to get from Guarda to the Festival gates. Most were buying a few beers at each stop. In front of the service stations, there was a smell of excitement and smoke in the air. Of course, getting to the festival was more easy than we thought. Portuguese people are not stupid. There were already taxis waiting for us in Guarda. In groups of four, we were traveling on for special prices. There was also public transport available, but it was a lot slower and meant changing to connecting buses, that we maybe wouldn’t get anymore at the same day. From Guarda, it took us around one hour to arrive at the Boom Festival gates. On the way, the taxi got stopped by the police. „Just give us all the drugs, that you have on you. And then we will just let you go to the festival area“, one of the policemen said. We all tried to make him understand, that we didn’t carry any drugs. 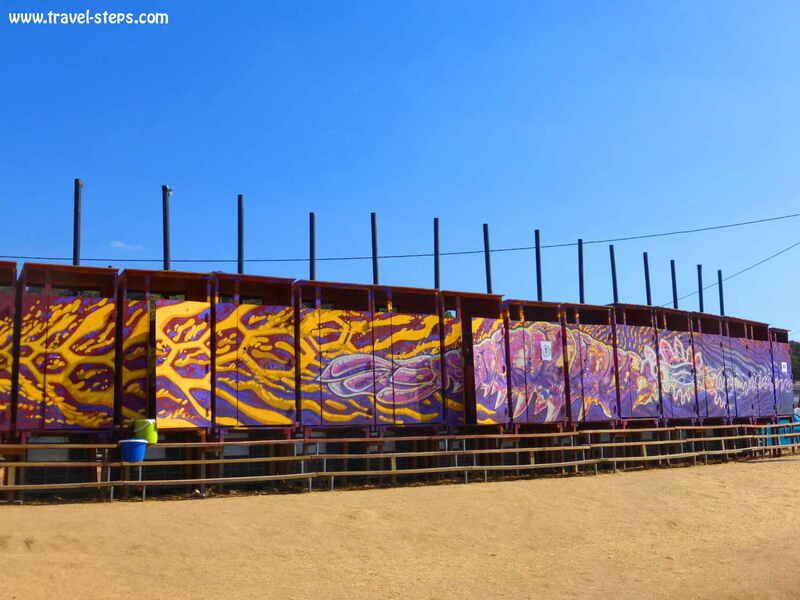 The taxi driver brought us to the Boom Festival gate, where we received our wristbands. We just had to wait around 15 minutes. And the super nice driver was waiting for us to take us from the gate also the last 14 kilometers to the festival area. We were late. Days before, people had been queuing for hours to get their wristbands. It was already around 8 pm, when we arrived at the festival area close to Idanha-a-Nova. We had been traveling already ten hours in total to make our way from Madrid to Boom Land. The massive tent and caravan town around the Boom Festival area was already set up, when we arrived. The most beautiful spots around the big lake had already been taken. We were tired. We were exhausted. It was still extremely hot with temperatures over 30 °C. And me and my partner got a bit frustrated with finding the right spot for our tent. We started to argue. Cold drinks were sold at little stalls all over the place for very reasonable prices. A can of beer was for example two Euros, a small bottle of water one Euro. Free drinking water from the tab was available everywhere. Artists presented their jewelry and clothes at a little flea market on Avenida Albert Hoffman. They were allowed to sell their things on the flea market of the Boom Fesival without paying a fee. Hammocks were waiting between trees. And art was spread around the whole place. That was just my first impression about Boom. 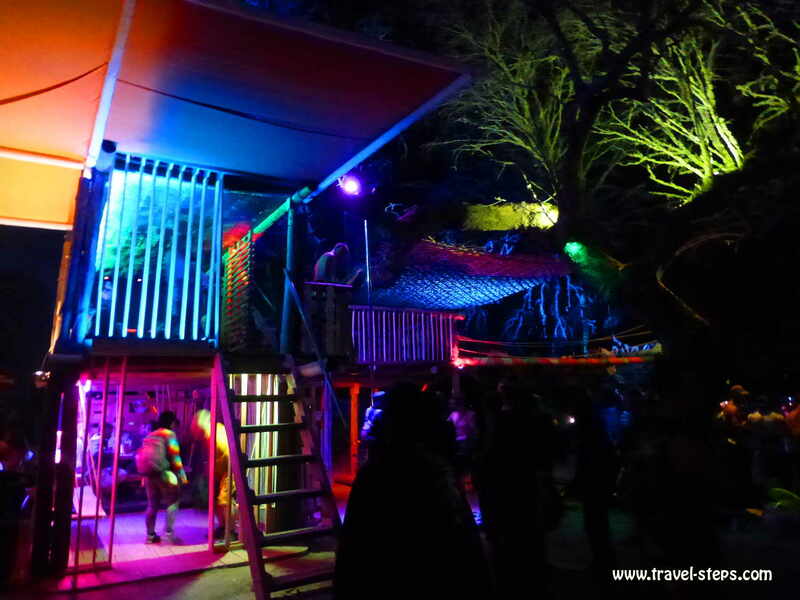 I had experienced a few Psytrance Festivals in Germany in 2016. They had not been all bad. On the contrary. A few festival organizers had done a great job. You were sometimes able to find a lot of creativity and the right spirit. 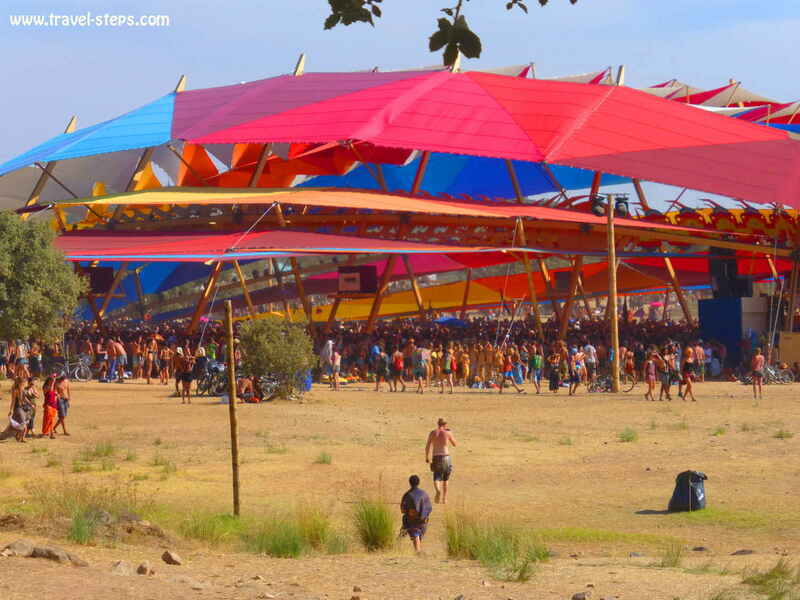 But that all was seriously nothing against Boom Festival. 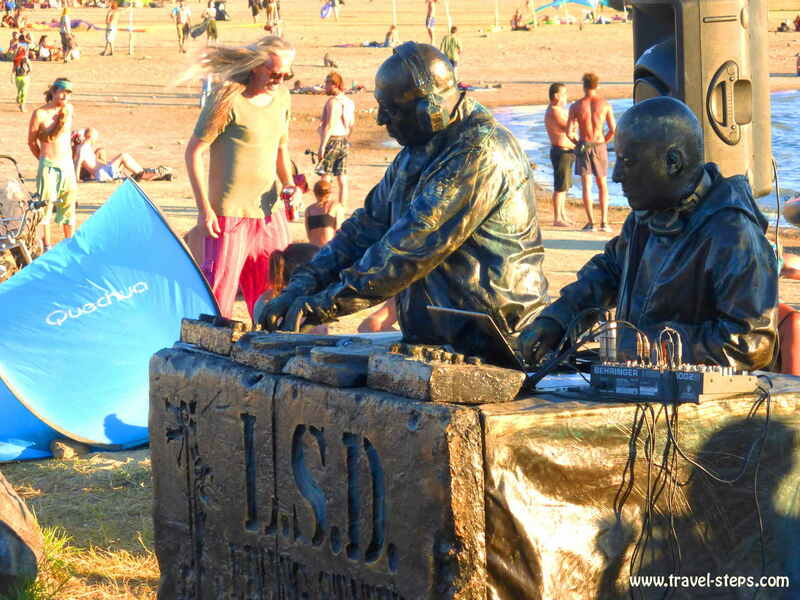 The psytrance scene in Germany undergoes a strange change. 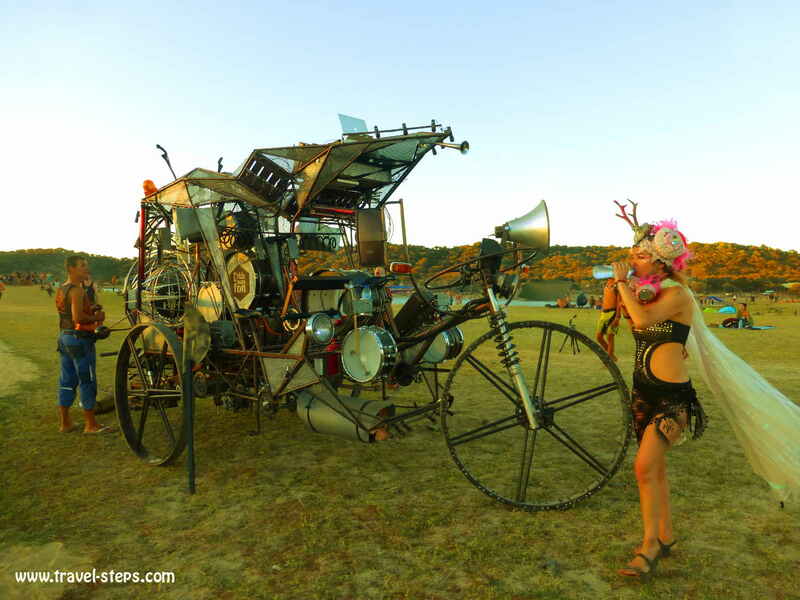 Too many bodybuilders, too many girls with fake oversize breasts were hanging out there this summer on a few psytrance festivals in the Northern part of Germany, dancing with grumpy faces to progressive sounds on totally wrong drugs. Many were facing the DJs, not each other. Some of them were probably very nice human beings, but most just didn’t seem to understand the original idea behind these hippie gatherings. 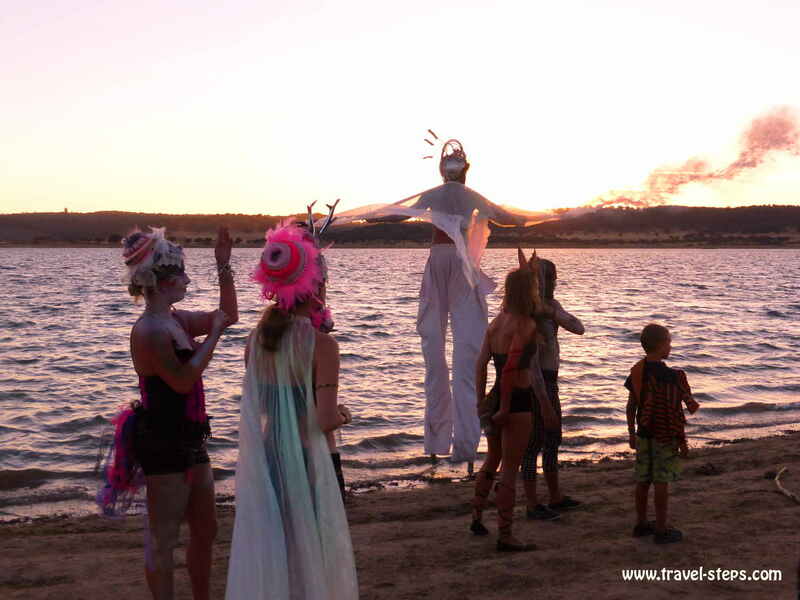 At Boom Festival, I was able to feel the right spirit. To me, it was such a relief to see, that spirit, smiles, love, creativity and colors are still welcome in the psytrance scene. 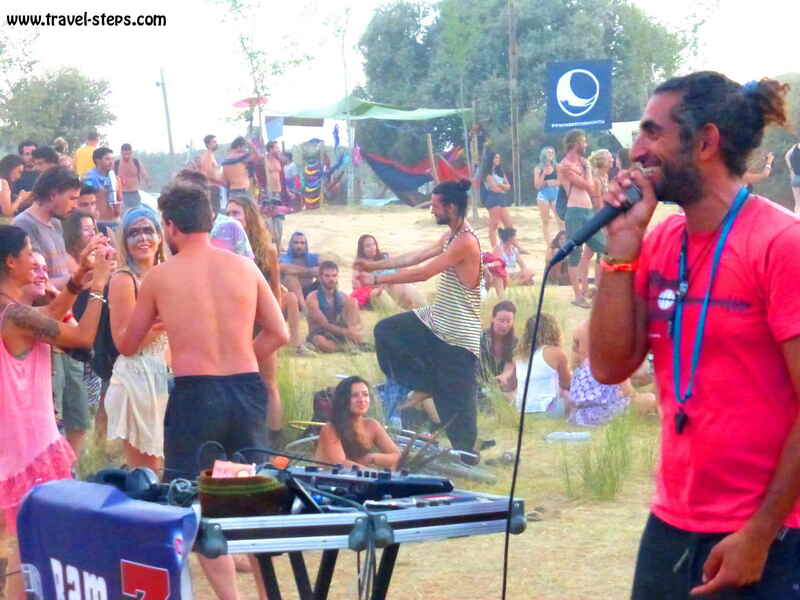 Not just welcome, but that the psytrance scene in Portugal consists of the right spirit, smiles, love, creativity and colors. I had bought the tickets for the Boom Festival more than half a year before. The tickets were sold out quickly. And already during the Opening ceremony of the Boom Festival, I felt to be part of something very special. I was touched, when I listened to the prayers of the wisdom keepers. And I’m usually not the person with a strong connection to the supernatural. It was just suddenly such a peaceful surrounding, decoupled from all the bad of the world. 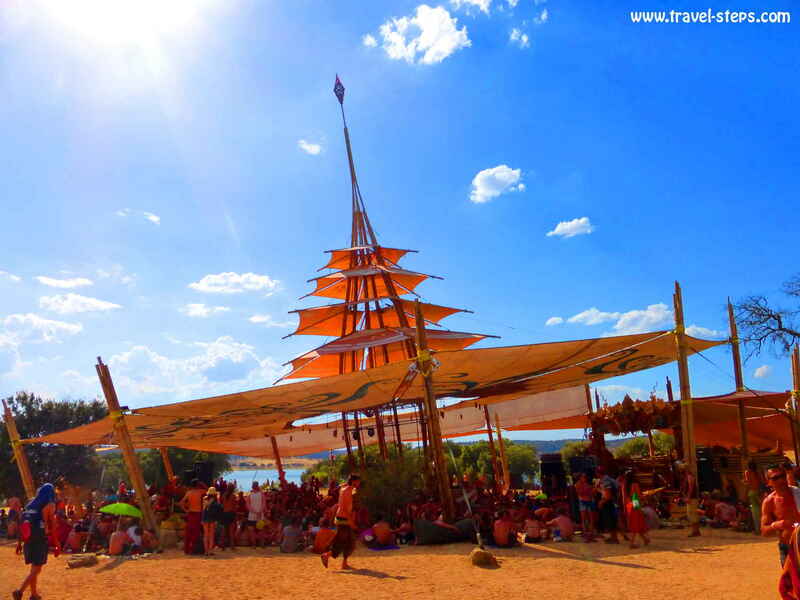 And within that atmosphere, I enjoyed the following days at the Boom Festival a lot. It was hot. It was extremely hot. The first days at the Boom Festival, I felt terribly weak. 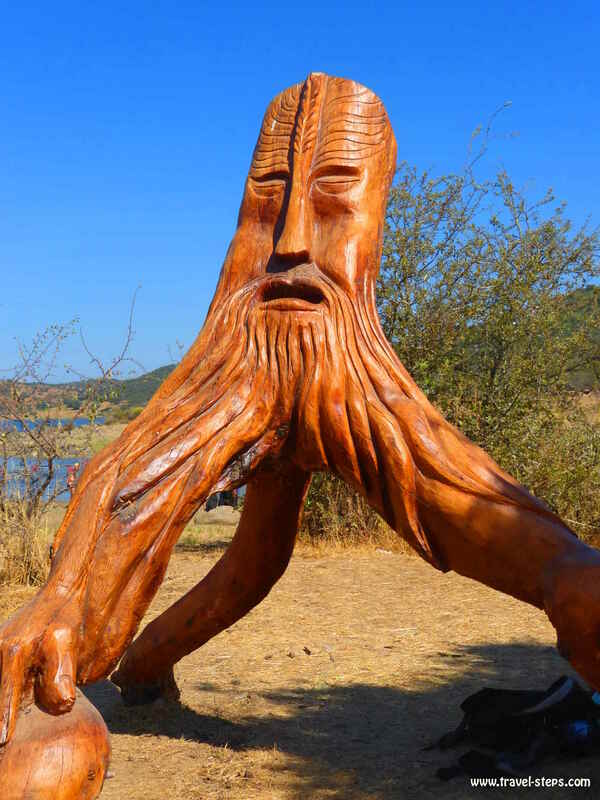 At first, I wasn’t sure to be able to enjoy the Boom Festival. It was dusty. And jumping into the lake, drinking liters of water and constantly looking or some shade were my main activities. But already the second day, I felt much better, ready to dance on all four stages. Free drinking water was available on a few dozens of taps across the Boom Festival area. Small ice-cold bottles of water were sold for one Euro, cans of beer and soft drinks for two Euros. 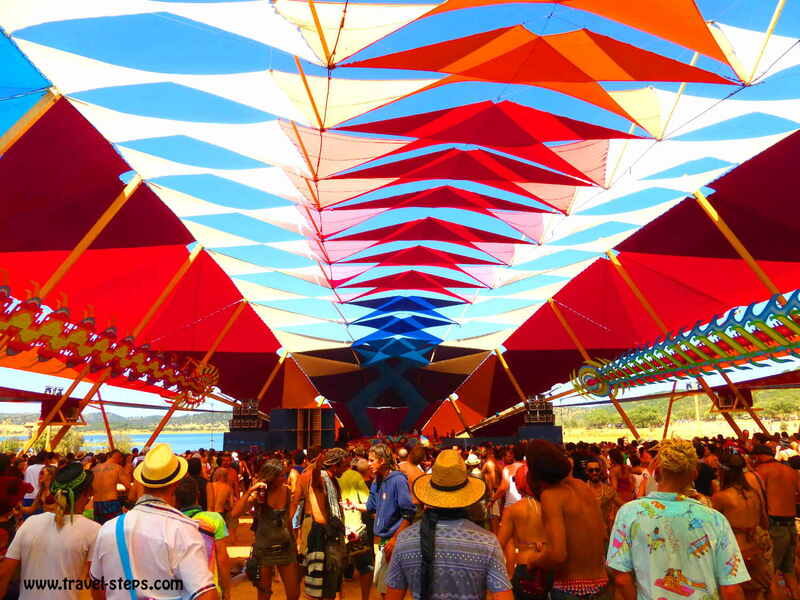 The Dance Temple looked like a giant psychedelic snake. Colorful during the day with water sprinkling down on the dancing mass. The roof was giving a bit of shade. Sound and rhythm were leading my body. Happiness. I totally forgot about my surrounding. It was hot. Some people were even dancing naked. Others in animal costumes. You could see their beautiful and creative tattoos. Their smiles. Their dreads. I just felt, that everything is okay. Every style. Every body. Everybody. 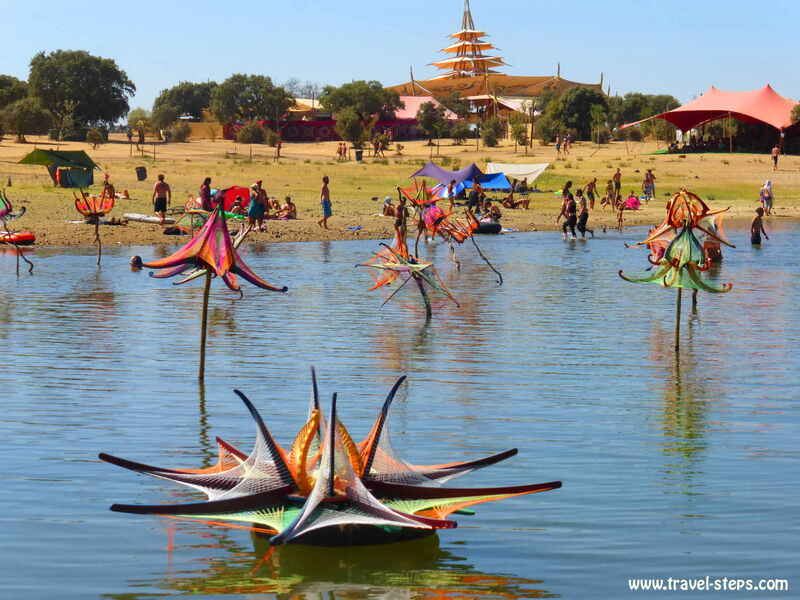 Being at the Boom Festival among free people for days gave me some strength. It encouraged me to be completely myself. To look like I want and feel good about it. Not like the others want. I decided, that I had to keep these moments in mind – just to be prepared for moments of insecurity. We were lying on the ground in front of a giant wooden shaman and were watching the colorful projections. But we also tried to sleep a bit at night times as it was getting hot in the tent already very early in the morning. Already a 9am, it was unbearable. 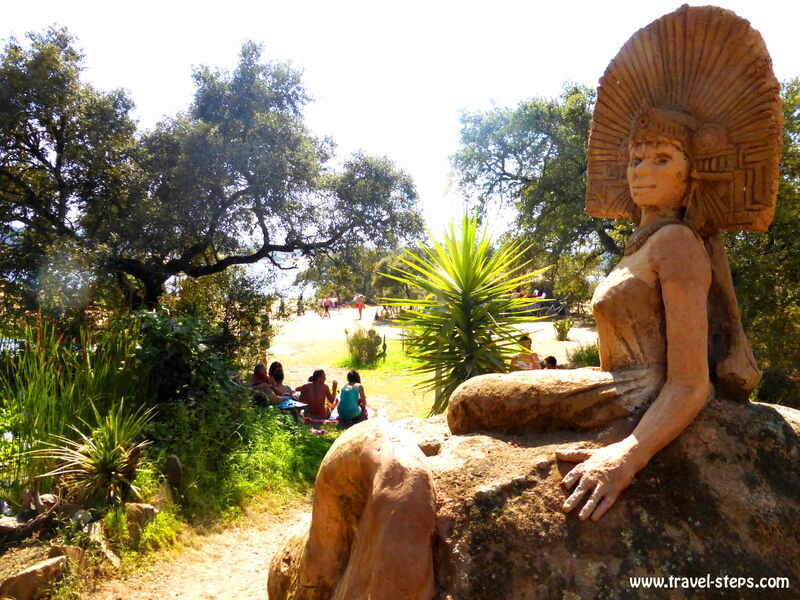 Being at the Boom Festival also felt like being on holidays. 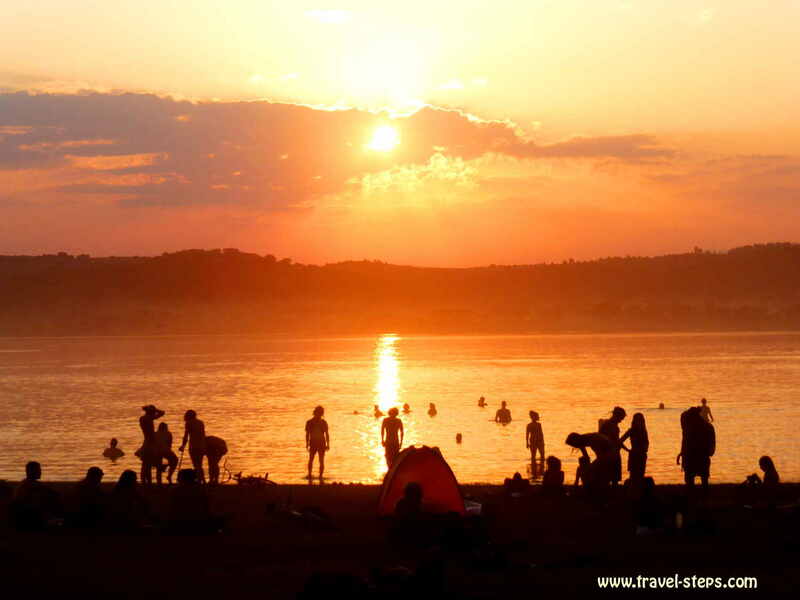 We went for swims a few times a day, checked out the Campsite at the Funky beach, watched people enjoying themselves and were dancing and drinking a few Super Bock beers in between. It seriously felt surreal to be in a place without any big trouble. 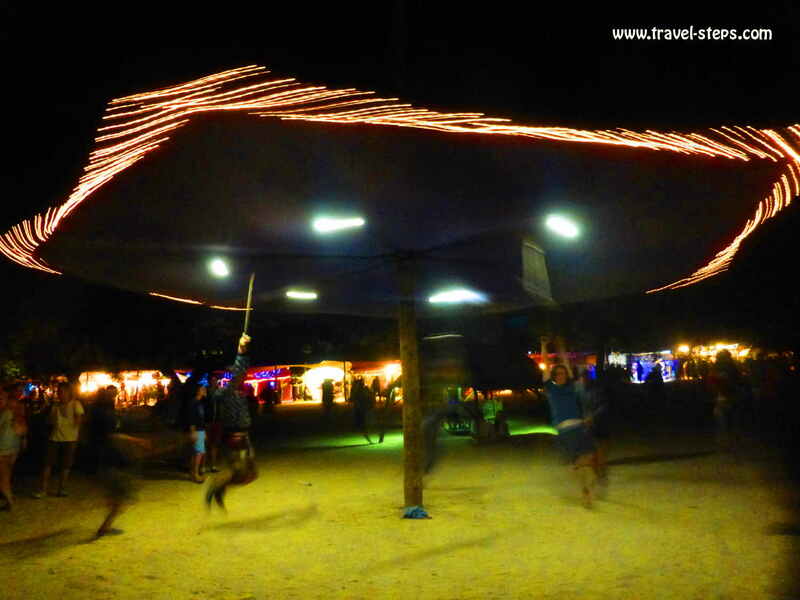 There were no TVs showing any bad news at the Boom Festival 2016. There was no free wi-fi, but still some plugs to recharge phones. The only thing to worry about was to find the food stall with the shortest queue. We wanted to support the vegetarian and vegan ones. The food wasn’t super expensive at the Boom Festival, but prices were more expensive than in Portuguese fast food restaurants in Lisbon. Between 5 and 9 Euros for a meal. Well, the more expensive meals were a bit nicer. It was easy to leave quite a bit of money for meals during the duration of the festival. Alternatively, there was food like fresh bread, cheese, yoghurt, fruits, veggies, tuna, pasta and sauce available in the grocery store. I got used to the easy breezy life in Boom Land. It was fun. It wasn’t difficult. But it was still real. Strolling through the scenery, up and down Avenida Albert Hoffmann. A lot of time for thoughts, memories, feelings. And time to touch giant artificial flowers, to use the swings under the trees. Just chilling. It was a festival. It was about psy trance music and dancing. But it also was about relaxing and diving into my mind at the same time. Letting loose. Letting thoughts flow and intense feelings develop. A few hours of flying high, of feeling light and walking slow. The queue for the public bus from the Boom Festival area to Castelo Branco was quite long. So, we hopped spontaneously into the bus to Lisbon airport. We didn’t really have any idea about where to go. We had been so busy in our daily lives before, that we had totally forgotten to make any specific plans for our last days in Portugal. In that moment, it was a bit difficult, but in the end, it didn’t matter where we were going. Because we went with the right feeling. How much were the drinks? I dont think you covered that. Hey Joe, cold drinks were sold at little stalls all over the place. In 2016, a can of beer was for example two Euros, a small bottle of water one Euro. Free drinking water from the tab was available everywhere. It was all pretty reasonable. I remember being surprised about the normal prices of drinks. Have fun!! Thank you so much for all the insight, thoughts and your story, Im going for the first time this year and Im trying to figure out what do I need to do to be prepared for the journey, If you have any other useful advise, I will most appreciate it. Thanks! Enjoyed the read! Essential reading for anyone who is considering going to Boom! Can’t wait to come back to this paradise!